Inside the Station is an operating HO scale railroad and the public is welcome to view it whenever the outside railroad is in operation. The model railroad is 12x24 feet and includes a narrow gauge operation. A snack bar is available for your convenience. 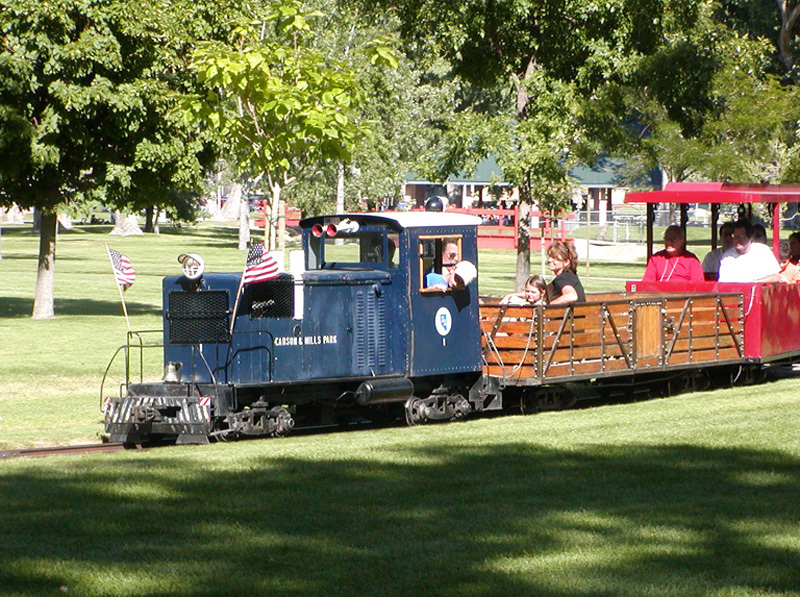 The Carson & Mills Park Railroad entrance is located on Saliman Street 1/8 of a mile south of Highway 50 East in Carson City. The Station is located next to the Marv Teixeira Pavilion. There is plenty of free parking next to the station in Mills Park.